Anna and Travis are so much fun to be around. They both have contagious smiles and are such warm and friendly people that you want to stay friends with them for the rest of your life! It has been my honor to photograph Anna’s two other siblings, so I was looking forward to another opportunity to hand out with the Saindon family! 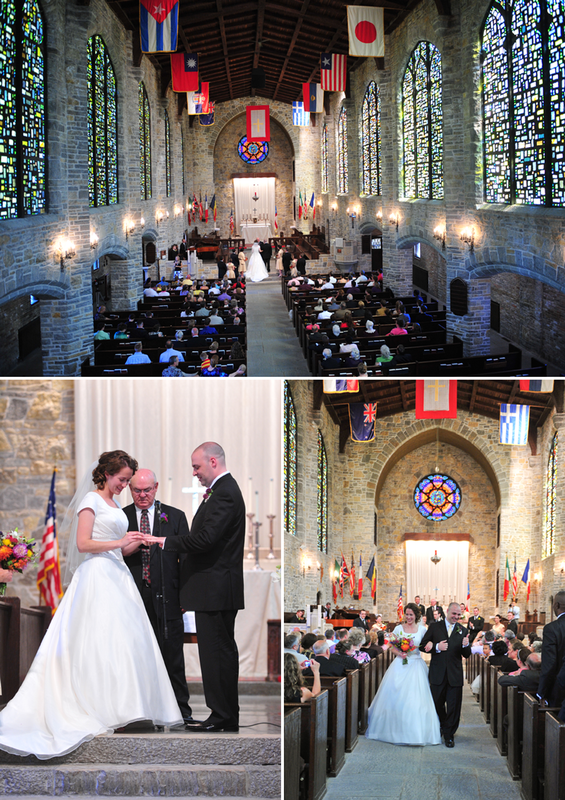 Anna and Travis picked out a beautiful chapel in Delafield, Wisconsin called the Noble Victory Memorial Chapel located on the grounds of St. John’s Northwestern Military Academy. I remember in our first consultation, Anna mentioned the big red doors! The ceremony was beautiful. One special touch was the addition of sign language interpreters. 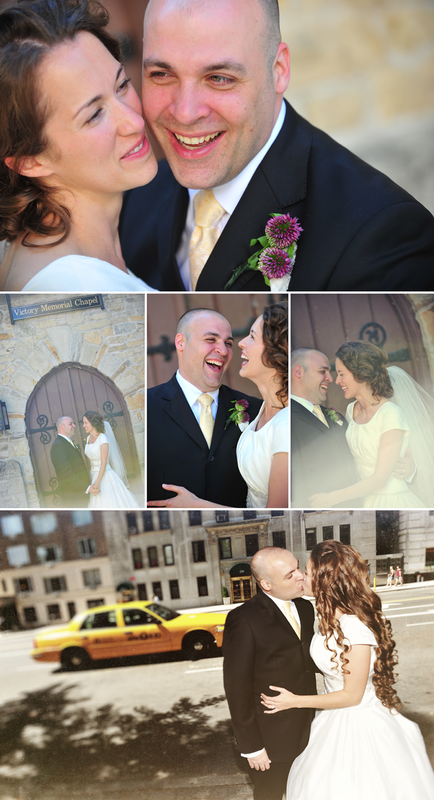 Anna works as a freelance sign language interpreter, so including this in her wedding was beautiful. You’ll also see in the reception shots people twirling their napkins over their heads. This is a tradition in deaf weddings – no clinking on the glasses to get the couple to kiss, everyone has to twirl their napkins above their heads. Anna and Travis are a lot of fun to be around. They love to laugh together, make funny faces, and it is so easy to see their love for each other. We did some shots after the wedding on the ground of the Military Academy, and then we also did some shots in New York City, at the reception that they had for all of their friends who couldn’t make it to the wedding. Travis is from Staten Island, and now they are both residents of the Island. Travis made sure to include some of his background into the day as well. At the reception there was a canvas for guests to add a “stroke” to the collaborative painting. Travis teaches high school art. …and I can’t end the post without including a picture of the epic game of musical chairs! What a fun day celebrating two wonderfully fun people! Best wishes to Anna and Travis.